Golden amber color. Sweet, toasty aromas and flavors of butterscotch, maple syrup, and waffles with a round, crisp, fruity medium body and an effortless, carefree finish revealing notes of nutella, marjoram, cappuccino foam, and golden graham cereal finish. A brunch-ready whiskey; perfect for hair-of-the-dog cocktails. 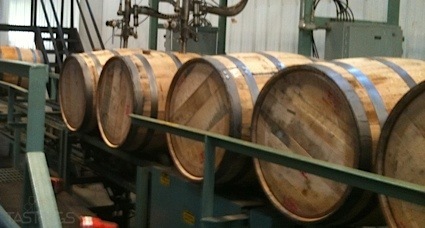 Bottom Line: A brunch-ready whiskey; perfect for hair-of-the-dog cocktails. 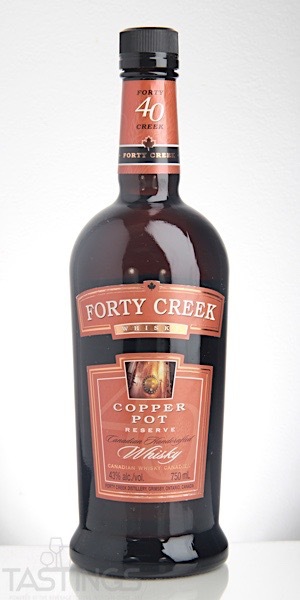 Forty Creek Copper Pot Reserve Canadian Whisky rating was calculated by tastings.com to be 89 points out of 100 on 9/5/2017. Please note that MSRP may have changed since the date of our review.